Google On The Hunt Again. This time it’s about your Mobile Friendly Website. They want to know if your site is Responsive and Mobile Friendly. Well is it? Let’s find out here and sort it out before Google does and punishes you for that. “Starting April 21, we will be expanding our use of mobile-friendliness as a ranking signal”. This change will affect mobile searches in all languages worldwide and will have a significant impact on our search results. Consequently, users will find it easier to get relevant, high-quality search results that are optimized for their devices”. Normally Google doesn’t make such announcements when there are changes in the algorithm. But when you hear words in their quote like a significant impact you can be sure this is a serious change and will have a huge impact on the website around the world as they stated above. Because this must be such a large impact this time they have been giving warning in advance so many website owners both large and small can get ready before April 21st. So don’t think because you are a large organization and you are safe this affects all. Don’t have a website that’s Mobile Friendly? NO? The time is approaching very quickly so you better get yourself up to date with your website or face Mobilegeddon. By not having your website Mobile Friendly you will take a hit from Google with your ranking and it will take a nosedive. To recover from that may take quite some time building up. For a while now, many websites have started to become (via their themes as well) mobile friendly, but you need to make sure first and foremost that your site is mobile friendly. So how do I know if my site is Mobile Friendly? 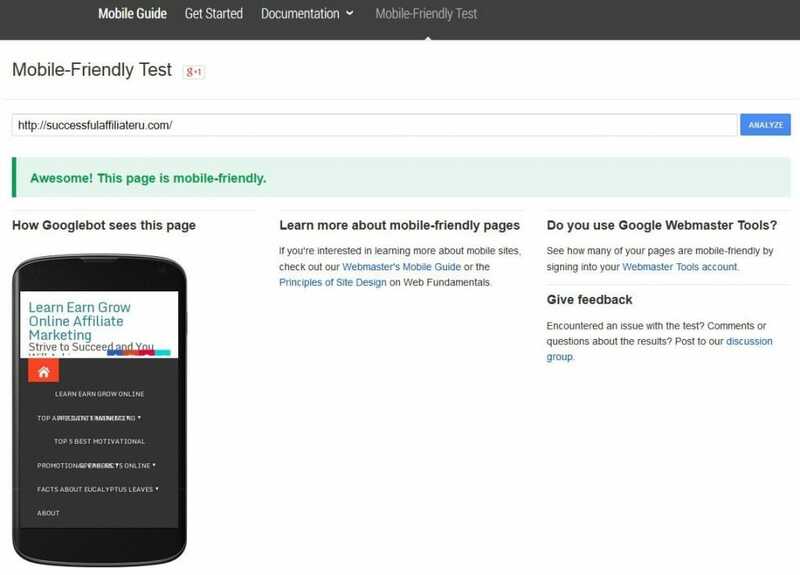 If you head over to Google Developers this will give you a guide on how to test your site if it is mobile friendly or not and much more. • You will be able to submit your website URL click the Analyze button and this will let you know the result if you are Mobile Friendly or otherwise. Remember here although it may say you are mobile friendly some sites may still have other issues to resolve such as some resources to fix etc. Ideally, it should look like this without any other comments. Rather than this if your site fails Google’s Mobile- Friendliness test. If this happens a description will show the specific issues you will need to address. 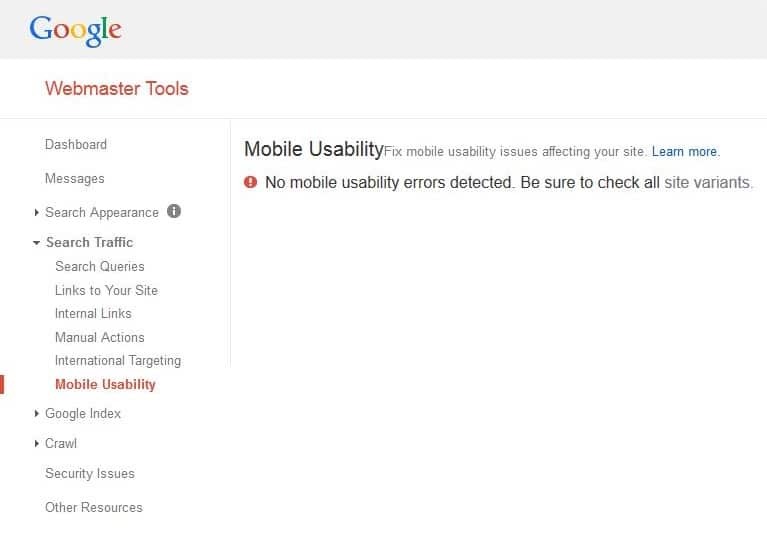 • You can go to your Webmaster Tools Account and get the full list of any issues your site may have when using the Mobile Usability Report. This report should look like the image below. • Site Variants This will show you all issues that you may need to fix and sort out even if it states that your site is mobile ready. Another important issue that could be the difference between being Mobile Friendly is that of the theme you are using. Many themes are already Mobile Responsive but there are many Website owners who still may be using old themes or versions and have never bothered to change. 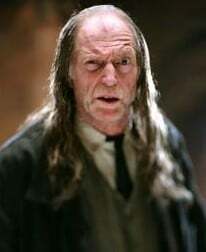 If you are one of those who has an older style theme I highly suggest you take a good hard look at the theme you are using and see if it is a responsive theme. If it isn’t then you will most likely need to change to one that is or face issues when Google starts its hunt. Don’t assume all is working right. 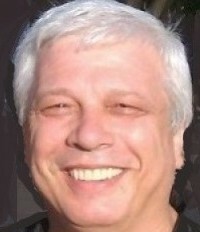 Do you have someone else looking after all the technical operations for your website and theme? You will need to get the whip cracking and ensure your site is working to full potential and that your website is Responsive and Mobile Friendly. This is your financial investment for life. Don’t take the chance assuming or you will be the one to suffer. Remember April 21st is Mobilegeddon don’t be the prey when Google goes on the Hunt. If you ensure that your website is not only Mobile friendly but also user-friendly. Continue to create good useful and relevant content, focus on your readers first and perform the right actions. By doing this you will gain the upper hand with Google’s organic ranking and most likely see a rise in your organic visitors. Copyright Learn Earn Grow Online Affiliate Marketing – 2014 – 2019. All rights reserved.